You’ve Just Built A Shooting Range: Now What? You’ve undertaken the multifaceted process of planning, designing, and building an indoor shooting range. You’ve discovered that creating a viable, ballistically-safe facility is no small feat. In fact, the process can challenge even the most stout-hearted, second-amendment-supporting, gun-crazed patriot. However, you persevered because the satisfaction and rewards of owning and operating a shooting range can be substantial. It’s just important that you remember a “build it and they will come” philosophy does not apply to your gun range business. Persistent effort, strategic marketing, and awareness of industry trends is required to attract, engage, and maintain your customers. Action Target has been the world leader in shooting range design, technology, supplies, and aftermarket services since 1986. With our time and standing in the industry, we have become experts in how to develop and manage a successful shooting range. Over the next few months, we will be collaborating with key individuals across our organization to share our best practices with you. Our expertise will help you excel in the business of running your range, while making you aware of potential pitfalls along the way. So that you know what to expect, we have divided these best practices into the following 8 categories. Each category will be fully explored in a dedicated future post. In this post, we will discuss the importance of branding your range and products. Other topics we will cover include growing your customer base and enhancing customer relationships through product promotions, giveaways, loyalty points, multi-member discounts, and corporate events. We will also delve into lesser used marketing strategies, such as cross-promotion with the assistance of other local business. We will demonstrate how to amplify your success through great customer service. We will show why it is important to find employees who not only have broad gun knowledge but are also experienced in retail sales. Learn how to build a loyal and happy sales staff through incentive programs, specialized training, and strategic staff meetings. Discover the importance of leading your grand opening with a soft opening and how neglecting to do so may have significant repercussions for your reputation. This post will be dedicated to helping you understand how much inventory you will need based on the size of your retail space. We will examine the importance of stocking retail items according to demand and local needs, as well as maximizing your gross profit through tracking retail turns. 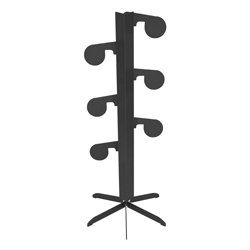 We will also walk you through analyzing data from your point of sale system. Successful businesses are familiar with free advertising through social media platforms. We will provide pointers on how to think outside the box for marketing your shooting range via other businesses in the community. You will also have access to our experience on branding and creating a “personality” for your shooting range as well as pointers for your website and other range events. Learn how to implement and structure memberships. We will dive into concepts for developing classes that reach all ages, genders, and lifestyles and will also provide ideas for home and personal defense training. Additionally, we will discuss how adding gun build options and services to your retail offerings drives revenue. 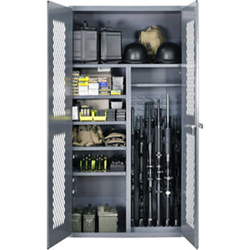 It’s vital that you protect your range adequately from criminal activity. We will highlight security, closed circuit cameras, various types of alarm systems, locking cases, as well as offer suggestions about how to safely store excess inventory. 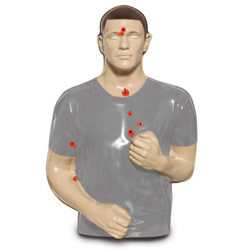 You will learn how to implement emergency protocols in the event of injury or fatalities and how to deter tragedies of this nature from occurring in your range. We will teach you how to capitalize on other revenue streams for your shooting range business, such as recycling your lead and brass and saving money through dealer pricing programs with Action Target and other vendors. We will also examine how you can share your knowledge and experience of planning and building a shooting range with other interested parties. 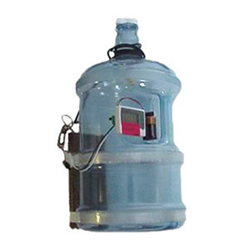 One of the most important aspects of your business is keeping your range clean and safe. We will show you how to do this through scheduled maintenance protocols along with a maintenance log sheet. We will discuss how to train employees on required maintenance procedures and performing minor range repairs. All methods we disclose are compliant with OSHA and EPA standards to ensure the protection of your employees, patrons, and range equipment. NEWTOWN, Conn. – The National Shooting Sports Foundation (NSSF), the trade association for the firearms industry, is pleased to announce that Shooters World has been recognized with the association’s Five-Star range rating. 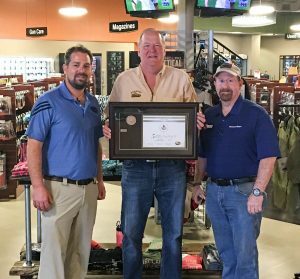 This is the first range in Florida to receive a star rating under NSSF’s revised evaluation system launched in 2016. 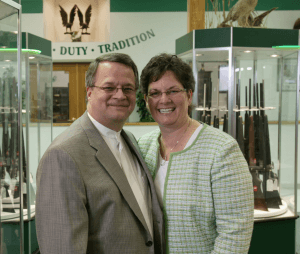 Shooters World is said to be the largest combination retail store, indoor firing range and firearms training center in the State of Florida with a footprint encompassing more than 62,000 square feet. Operating seven days a week, the shooting facility includes 27 pistol range lanes, and seven 100-yard rifle range lanes, all of which can handle .50-caliber fire and can be used for Shooters World’s many training programs. Customers can take advantage of everything from curriculums developed specifically for junior shooters and women to concealed carry, hunter safety and advanced skills classes. A generous rental gun program and an expansive retail center support the range and provide a complete shopping and entertainment experience to a steady stream of recreational firearms owners – from beginner to expert – serving the entire densely populated Tampa Bay metro area. NSSF’s highly respected Star-Rating Range Program works to encourage ranges of all sizes and locations to excel. Applying for rating requires answering a comprehensive questionnaire and business owner self-evaluation of the facilities, staff, community outreach and other criteria. Ranges that appear to meet the criteria for Four- or Five-star rating receive an on-site evaluation by NSSF staff. NSSF member ranges that meet a Three-star rating are recognized for being a part of the Star-Rating range family and are provided guidance to improve their facilities and achieve the higher two ratings. For more information, including instructions on how to apply for NSSF’s Star-Rating Range Program, visit www.nssf.org/ranges or contact Zach Snow at zsnow@nssf.org. 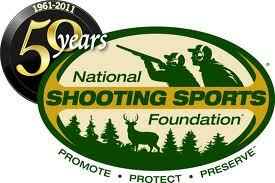 About NSSF The National Shooting Sports Foundation is the trade association for the firearms industry. 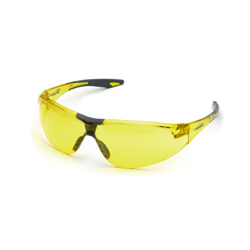 Its mission is to promote, protect and preserve hunting and the shooting sports. Formed in 1961, NSSF has a membership of more than 12,000 manufacturers, distributors, firearms retailers, shooting ranges, sportsmen’s organizations and publishers. For more information, visit www.nssf.org. As a voting member of the National Shooting Sports Foundation (NSSF), Action Target supports the Gun Vote campaign. 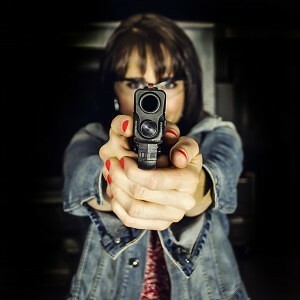 This campaign encourages citizens across the nation to vote for those who support gun rights. The NSSF provides up-to-date news and information on political races and politicians looking to impact the Second Amendment. The website also features RSS feeds to Senate, House, and Governor races, as well as links for voter registration, absentee voting information, news on the latest polls, and more. Everything you need to know about the Second Amendment and gun rights is in one place for Election Day. Visit the site for more information.